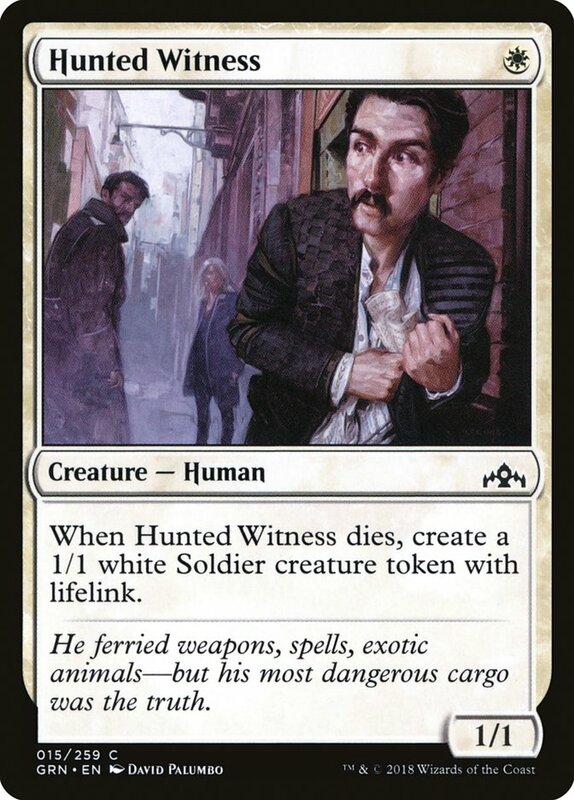 Card Text: When Hunted Witness dies, create a 1/1 white Soldier creature token with lifelink. Oracle Text: When Hunted Witness dies, create a 1/1 white Soldier creature token with lifelink. Flavor Text: He ferried weapons, spells, exotic animals—but his most dangerous cargo was the truth.